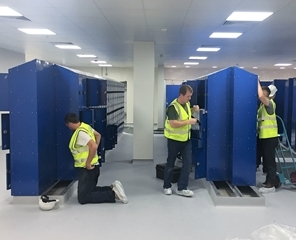 With years of experience supplying and installing lockers for schools, local government, hospitals, supermarkets and major industrial users, Superior Storage Solutions having one of the largest ranges of lockers in the country, can provide a solution for all your locker needs. When space is at a premium our Multi Compartment Lockers offer greatly increased compartments for the locker footprint. They can be the perfect solution to storing personal effects, electronic devices like phones and laptops or just about anything you need to lock away. 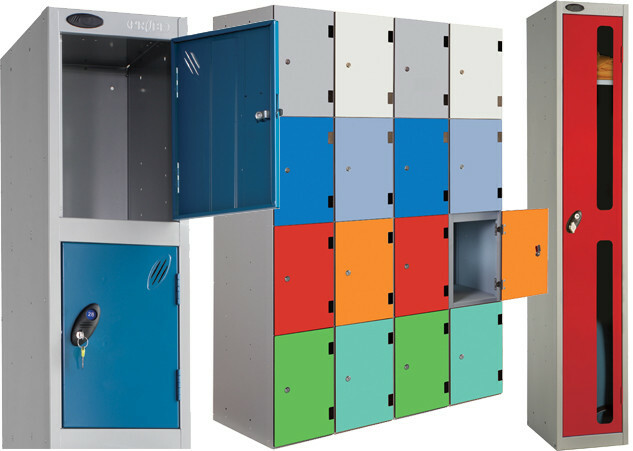 Specialising in lockers for schools, our educational locker range offers colour options for every level, from pre-school to college. 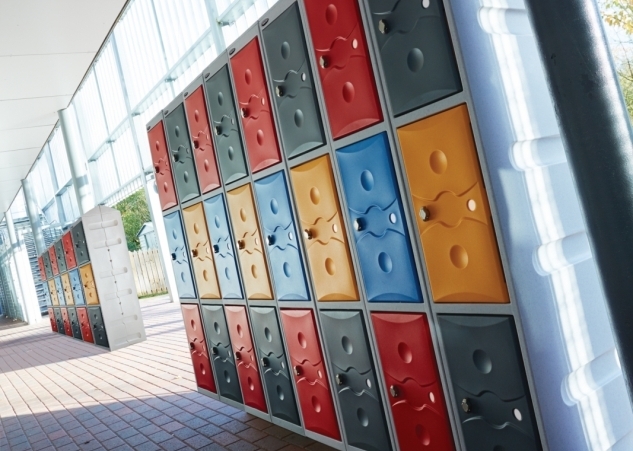 From a simple cube locker upwards, the sheer variety of lockers available puts us at the top of every school’s list for changing and storage requirements. We offer a comprehensive range of laptop and iPad lockers for a variety of smart devices. 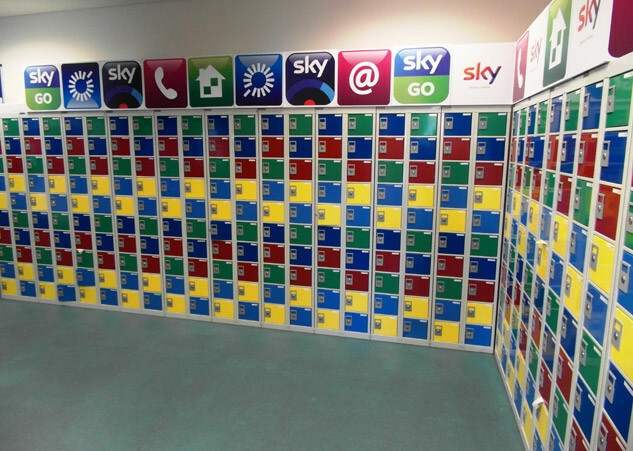 You can choose from powered or non-powered, mobile or static, when it comes to media storage, we’ve got the locker to suit you. Keeping clean garments and soiled work overalls separate can often be a problem. 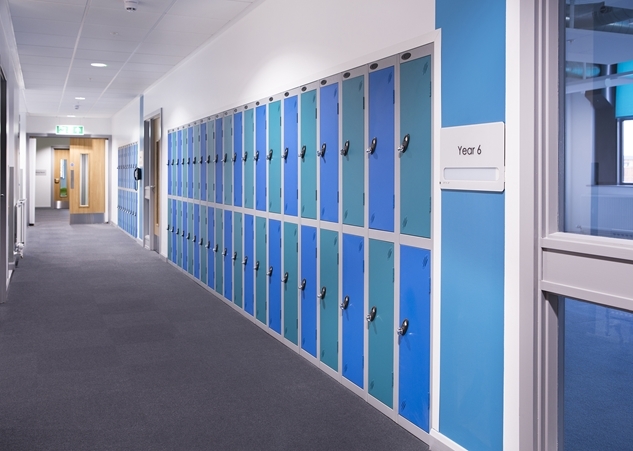 Our Clean and Dirty Locker solves this by providing a centre partition with a double coat hook to either side. Identical in overall size the Uniforms Locker has three handy shelves to one side of the partition. 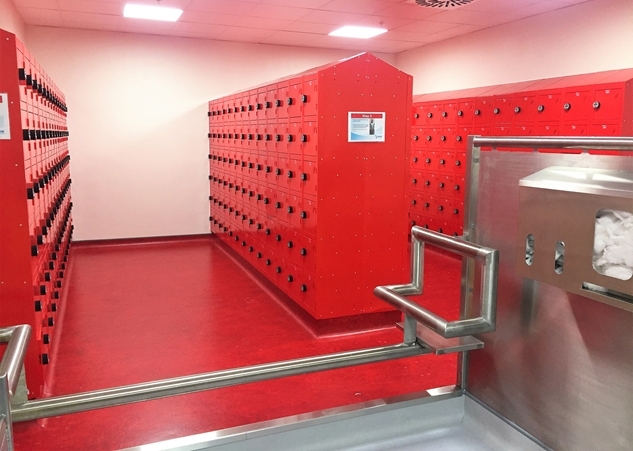 Our Clear View Lockers, very popular in retail, offer a very sturdy and secure solution to those environments where high in-locker visibility is desired coupled with a high level of security. 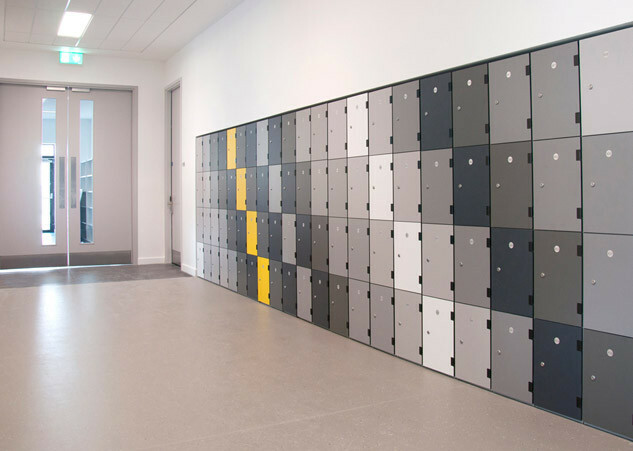 These, like all our lockers, incorporate a welded plinth between each compartment for added strength and security. 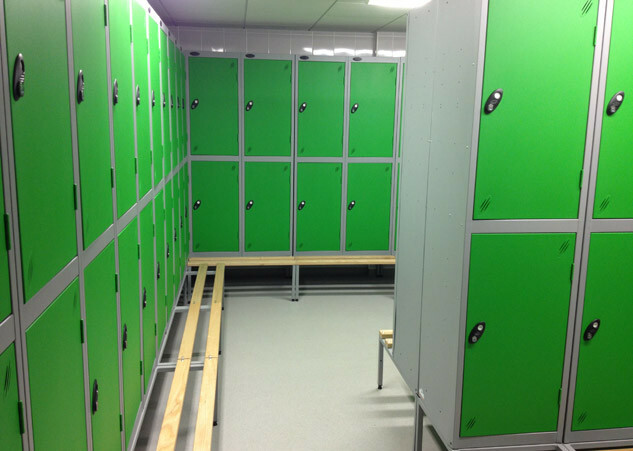 Changing areas for leisure and sport need to be versatile to accommodate a range of activities in which case our lockers will provide security for the user’s belongings and equipment. We provide a comprehensive range of personal and equipment storage solutions aimed at the hygiene conscious medical sector. 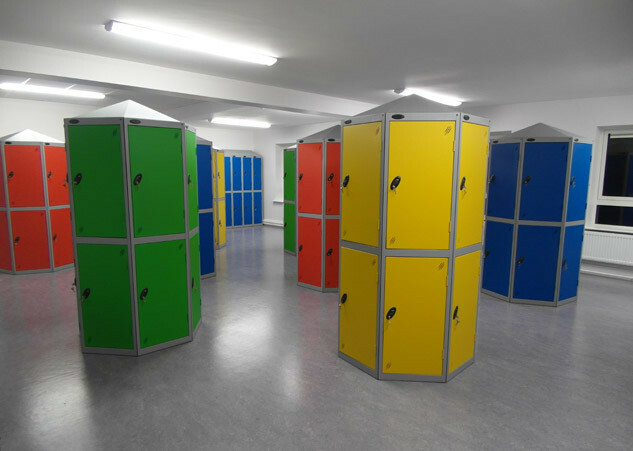 This range incorporates a world class anti-bacterial technology in both the plastic fixtures and the powder coated steel components of these lockers. Sloping tops, locker seats & stands and freestanding benches are just some of the accessories available to enhance our locker range. The optional sloping top prevents the accumulation of rubbish and is available on all of our standard lockers at a small additional cost. 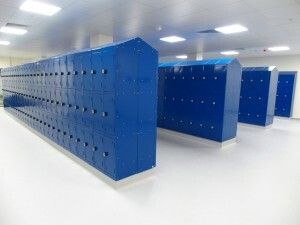 For areas where floors need frequent cleaning, our locker stands provide maximum floor access. These 150mm high stands are manufactured using square tube to suit any number of lockers, all complete with adjustable levelling feet. 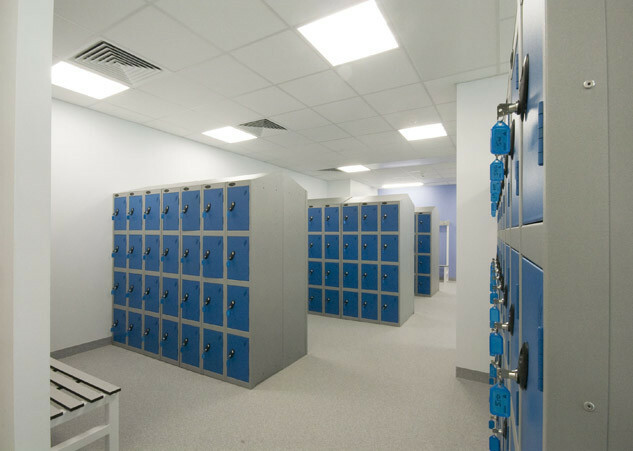 Our lockers are available with a wide choice of locking systems including Key, Latch Lock for padlock locking, Coin Return or Retain to ensure either the return of the key or charging for the use of the locker, Mechanical Combination Locks and finally Electronic Digital Locks. 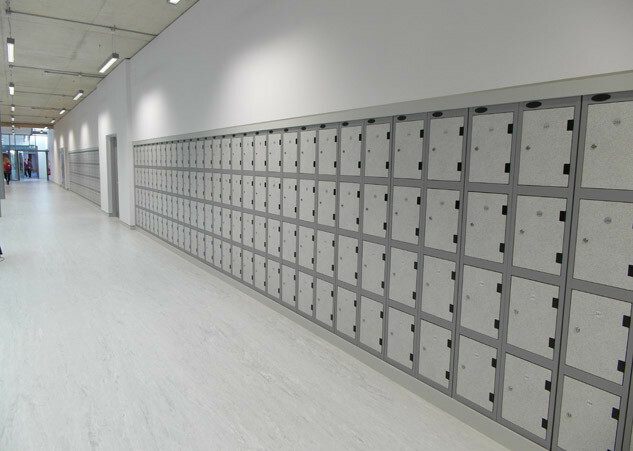 Each of our lockers are designed and manufactured conforming to BS 4680:1996 ‘Standard Duty, ISO 9001:2000 and Environmental Management System ISO 14001:2004, and feature an integral air vent system, a micro sprung disc lock, 5 knuckle hinges, welded front frame & internal door strengtheners. 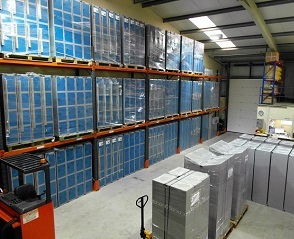 Our extensive range includes: 1-6 Tier Lockers, Clean Environment Lockers, Twin & Two Person Lockers, Education Lockers, Laminate Door Lockers, Timber Door Lockers, Plastic Lockers, Clear Door Lockers, Post Lockers, Personal Effects Lockers, Police Lockers, Cube & Quarto Lockers, Locker Pods, Garment Dispenser/Collector Lockers, Golf Lockers, Medical Lockers, Laptop Lockers, Stainless Steel Lockers, Wire Mesh Lockers, Heavy Duty Lockers, Leisure Lockers and many more.